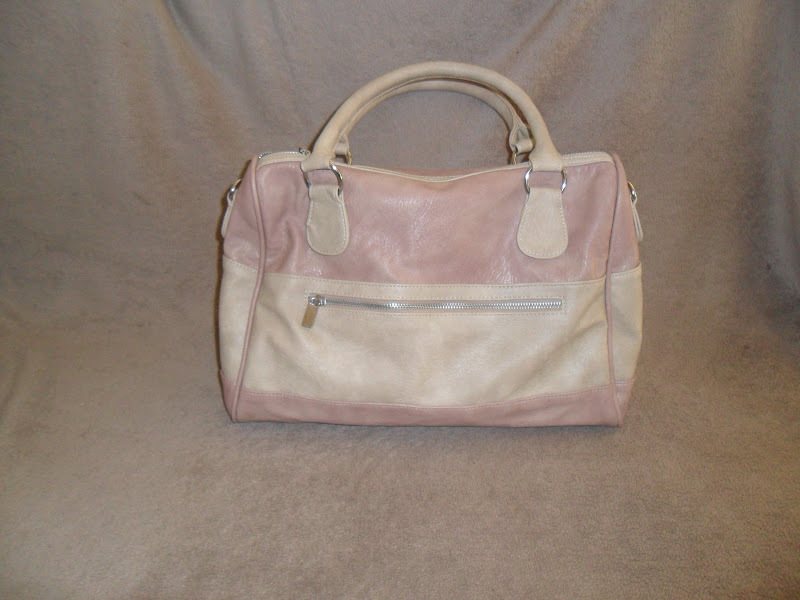 This is my fabulous new handbag (Ivana) from Stylistpick which I posted about here, I love it!! 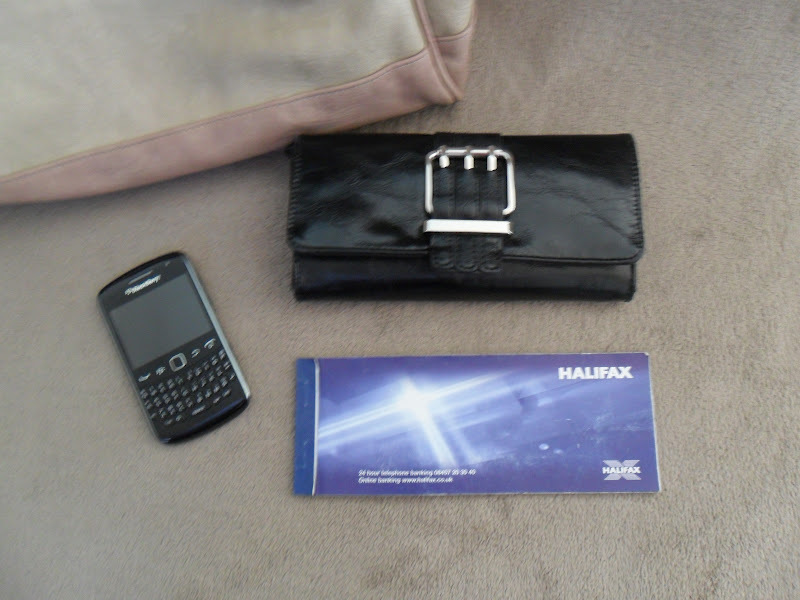 My beloved Blackberry (I would be totally lost without this), my cheque book for emergencies but not many places accept cheque anymore so really don't know why I carry it around and my gorgeous purse from Debenhams I have had this for over a year now and can't change it, I have bought new purses and swapped everything into it them but always end up back to this one! 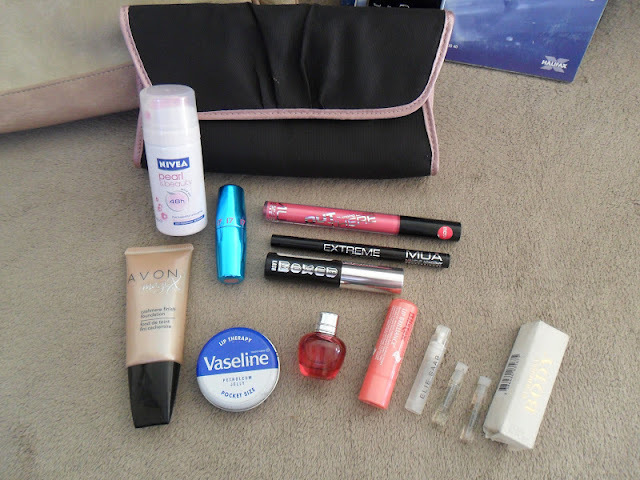 My small makeup bag, I don't know about you, but I don't like carrying all of my expensive makeup around with me in case I lost it so I carry around my lower end products (MUA is a fab brand that work really well but are so cheap great for carrying in your handbag - I have reviewed a few of there products here), obvious if I was going away etc I would have my whole makeup bag with me! Also Vaseline, deodorant and perfume samples (Burberry, Ellie Saab.....), must smell nice at all times!! Nivea moisturiser is fab for anything so I always have a pot of this, antibacterial wipes and tissues (I once got pooped on by a bird - disgusting I know and didn't have anything to wipe it off with, luckily my friend did and rescued me so I then vowed never to leave the house without tissues again!) , nail file, hair bobbles, hair pin, hand gel and the flowery case...that has lots of mini essentials nails clippers, scissors etc I got this from New Look for a bargainous £5.00! A mini torch - you never know! 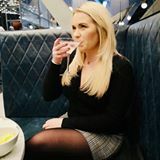 Milk Thistle - This is what I use for hangovers and find it really does work, you add a few drops to a glass of water before you drink and same again when you get in (if you remember) and again in the morning. It takes away your sore head and sick feeling but doesn't cure tiredness. I keep this with me as I have lost count of the times my friends and I have 'one drink' and end up coming home at 2am! Paracetamol - See above haha! A tape measure and sewing kit - These are new additions to my bag, I won them in christmas crackers and thought 'oh wow these might come in handy one day' (that day is still yet to come though!). So that's my everyday essentials. What is your MUST HAVE in your handbag? PS. If anyone wants to do this post please leave me the link I would love to have a nosy. I had to dig all of these things out from the twenty thousand receipts I had in there lol!! 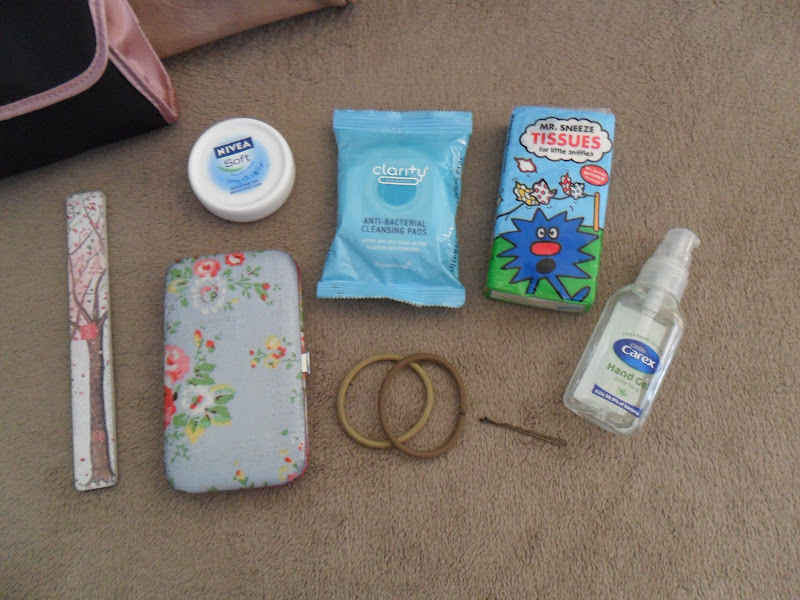 You carry some great essentials in your handbag!!! Love these posts. 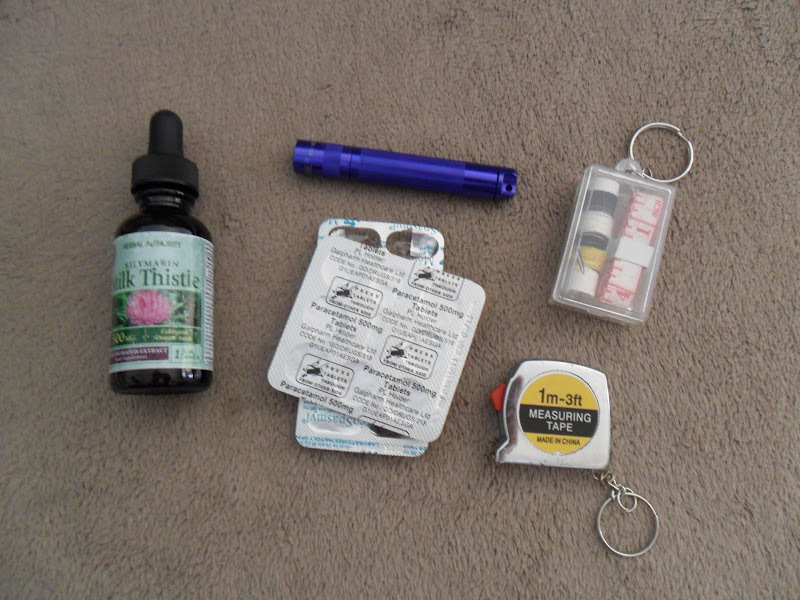 Love the mini sewing kit. I have a torch on my keyring- very useful. Also how cute are those tissues?! So cute. I will have to watch your vid, I love being nosey!!lol!! A torch is a must isn't it :p .... you never know when you might need one! Gorgeous bag! :D Love these posts. Thanks Lucy, I am in love with my new handbag! haha! It certainly is, I would cry if my fave perfume got smashed in my bag!